KARACHI: Pakistan has made its first commercial shipment of 550kgs of mangoes to Japan following the lifting of a Japanese ban on Pakistani mangoes last year, said an official at the Trade Development Authority of Pakistan (TDAP). Japan�s import market is relatively smaller, importing about 12,000 metric tonnes from the world. 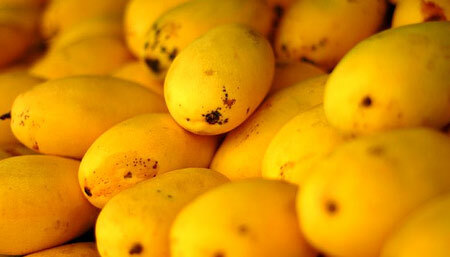 However, the Japanese authorities require a special vapour heat treatment of mangoes before importing the commodity. �Japan is a high-value market where Pakistani mangoes could be sold at around $10-12 per kg, which is way above the prices obtained from other markets,� said TDAP official Usman. For this purpose, a small plant has been procured and installed by the government at Karachi Airport to facilitate the process. The government has also procured a commercial plant, which is likely to arrive in the country in the next month, with a capacity to process 15 tons per day. For the purpose of its installation, a site near New Sabzimandi, Super Highway, Karachi has already been selected in consultation with the growers and the exporters of mangoes. TDAP intends to procure a piece of land at the above site from the government of Sindh in order to install the plant on a immediate basis. The plant would become a common facility centre and provide services, against a nominal fee/processing cost to all the intending exporters of mangoes to Japan.